Aberystwyth, a small town nestled away on the coast of West Wales, has recently been making a name for itself in the national news. Although the polls indicate that Wales, on the whole, is now leaning towards a ‘leave’ vote in the upcoming EU referendum, Ceredigion, which is the county of Aberystwyth, has recently been described as the most Europhile area in Britain. For the past couple of weeks, Aberystwyth, which is the largest town in Ceredigion, has consequently featured regularly in the news, most notably pitted against Romford – deemed the most Eurosceptic place in Britain in a recent piece in The Guardian. That Ceredigion emerges in such a way in the data is not particularly surprising, perhaps; as Matthew Goodwin has pointed out elsewhere, University towns – and Ceredigion has two (Aberystwyth and Lampeter) – tend to lean towards the ‘remain’ vote. 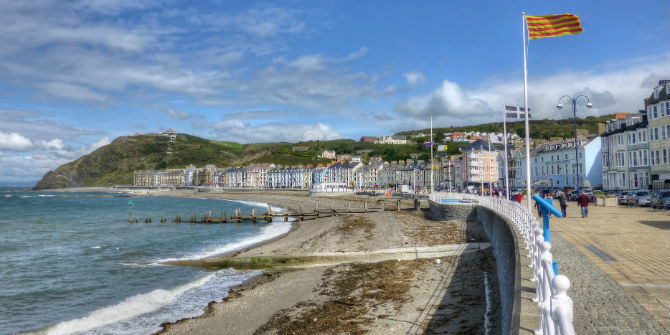 Aberystwyth is a prime candidate for this tendency: it has a population of 13,000, but is joined by 10,000 students who are in town for the nine months of the academic year. The university consequently plays a significant role in Aberystwyth itself and in the local economy more generally. Those who were pro-Remain conceived of the EU largely by reference to two closely related narratives. One was about interdependence and a sense of belonging, be this in terms of free movement, common values (including human rights), cultural identity, security, collective goods (such as protection of the environment), or the stability of retaining the status quo. The other narrative was more specifically about the EU as conceived through the lens of Welsh national interest, whether in terms of economic interest (principally for the farming industry), minority language interest (that Welsh is better-protected by the EU than it would otherwise be), and strategic interest (that the EU presents a platform for the assertion of ‘Welsh’ interest). Among these participants, the perceived implications for Wales of a possible Brexit fell into three categories. The first, and by far the most dominant concern, was that Brexit would entail economic insecurity, chaos, and isolation (including for the UK more generally), especially for more rural regions such as Ceredigion and in particular for farmers. If that was the view of the majority of the passers-by who were willing to speak to us, what then of the 20 per cent who were in favour of a ‘leave’ vote? 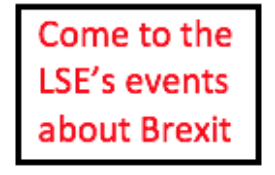 A third of these said that the EU meant nothing or not much to them, and for those for whom it did mean something, this ‘something’ was negative in nature. Concerns not only went to the questionable democratic credentials of the EU, and to the topic of immigration (perceived negatively), but the EU was, moreover, essentially cast as an interfering, controlling, rule-producing, bureaucratic, expensive, distant entity. Or as one participant put it: “an expensive bureaucratic gravy train” (M, 65-74). The perceived implications for Wales of a possible Brexit were antithetical to this, and cast in a positive light, including by those who claimed to have voted in favour of continued EU membership in the 1975 referendum; the possibility of Brexit, for these participants, was the promise of freedom, more independence, greater say in decision-making, increased competition, and less money going out of Wales. 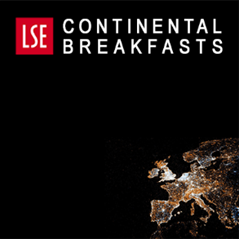 A few participants did, however, suggest that Brexit would entail little, if any, change: “we’ll still be poorer as usual – we need to invest more in Wales”, commented one (M, 65-74), alluding to the fact that west Wales remains amongst the poorest regions in Britain and indeed in western Europe.